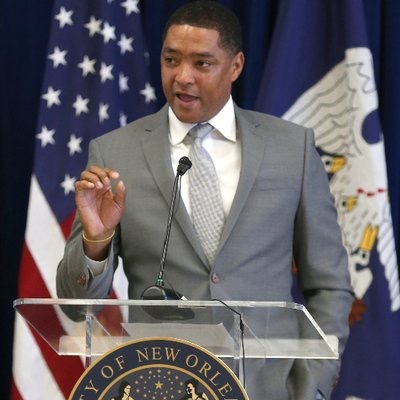 Democrat Congressman, Cedric Richmond in Louisiana disrespected Kellyanne Conway by making a crude ‘joke’ about her looking ‘familiar’ on her knees in reference to the picture of her kneeling on the couch in the Oval Office. Democratic Rep. Cedric Richmond (La.) made a crude joke about White House senior adviser Kellyanne Conway on Wednesday night during the Washington Press Club Foundation dinner. Richmond joked that Conway looked “familiar” in a position on her knees, referencing a viral photo of Conway kneeling on a couch in the Oval Office, the Daily Callerreported. The Democrats claim to be the party that lifts up women yet they continue to prove otherwise. Kellyanne Conway is a respectable mother and businesswoman who shouldn’t on the receiving end of comments this low from a sitting Congressman. Shame on Cedric Richmond. At minimum he owes Kellyanne Conway a public apology. On Sunday Jake Tapper asked Pelosi about this sick joke. She refused to condemn the congressman. Please don’t ever lecture us again you spiteful hypocrite.